When fully zoomed in, at least. Reminds me of Shaq's starring role as the genie in Kazaam. [H]e bumps into an old boom box. By doing that, he manages to release Kazaam, a genie who has been held captive for thousands of years. In order to stay free, Kazaam must give Max three wishes. Except now Shaq's trapped in a can. 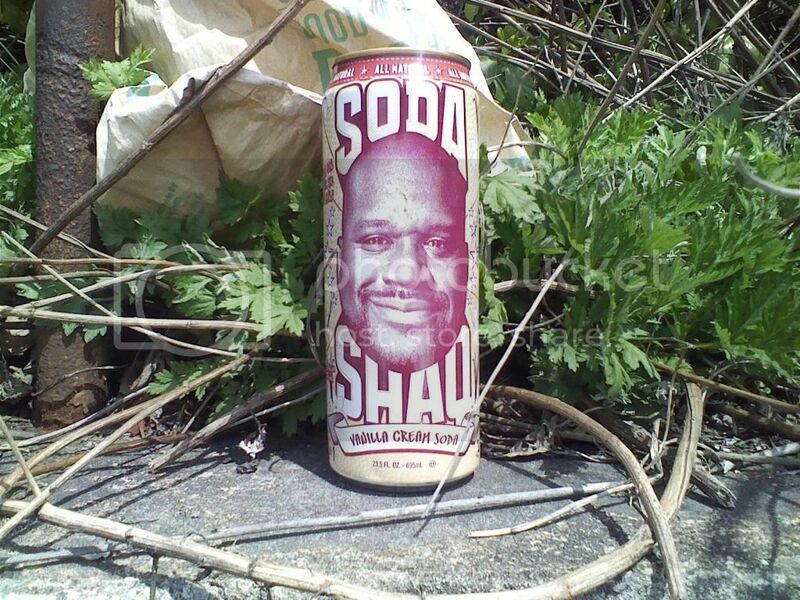 Where can I get all natural Soda Shaq? Haha, MB! I forgot all about the genie aspect! I dunno, WD. First and only time I've ever seem such a can.